Publications from the Medical Protection Society provides essential medicolegal information for doctors and healthcare professionals. The app provides interactive editions of publications Casebook, Practice Matters, Junior Doctor and New Doctor and aims to promote safer practice by providing information and sharing experiences that you will find helpful. The legislative, financial and regulatory environment that governs medical practice becomes more complex by the day. We hope that the Publications app will help you tiptoe through this minefield. It is an essential tool for any doctor’s kitbag, sitting alongside your drug reference guides, medical calculators and other useful medical apps. 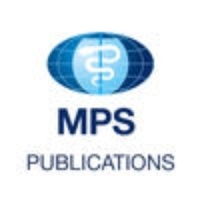 Check these links to find your download for MPS Publications for & iOS or for your device iPad. The app MPS Publications is compatible with te following devices.